The Venice Symphony will provide a standard of music appreciation within its community that integrates quality musical performances, unique educational opportunities and accomplished musicians to enrich the experiences of the community. The Venice Symphony was incorporated in November 1974 when 56 area volunteer musicians joined together under the leadership of Hartley Haines, the director of music in the public schools. Originally, the orchestra played three concerts in the Venice High School auditorium with banks and subscribers covering the costs. As operating costs increased and the musicians were compensated, and The Symphony began to charge for tickets. Hartley Haines left the school and orchestra in 1983 and Ernesto Epistola became the conductor. In 1989, Wesley John Schumacher took the director’s baton. He and Eric Watters went to area schools with a program teaching third graders about the instruments in the orchestra. This became “Symphony in the Schools,” a program that now reaches third-graders in Sarasota County public and private schools and homeschooled students. Symphony in he Schools culminates with students getting on busses to a concert at The Venice Performing Arts Center, featuring the entire orchestra. In 1990, The Symphony offered its first Summer Music Camp teaching students the fundamentals of music, including hands-on experience with musical instruments. That same year the Symphony moved its concerts to the Church of the Nazarene in Venice and Jean Peters was hired as Executive Director. After 21 years of service, she retired in 2012 and Doug Kerr took over as Executive Director, moving The Symphony into its first formal office space. When Schumacher retired in 2009, violinist Kenneth Bowermeister was named Music Director/Conductor. 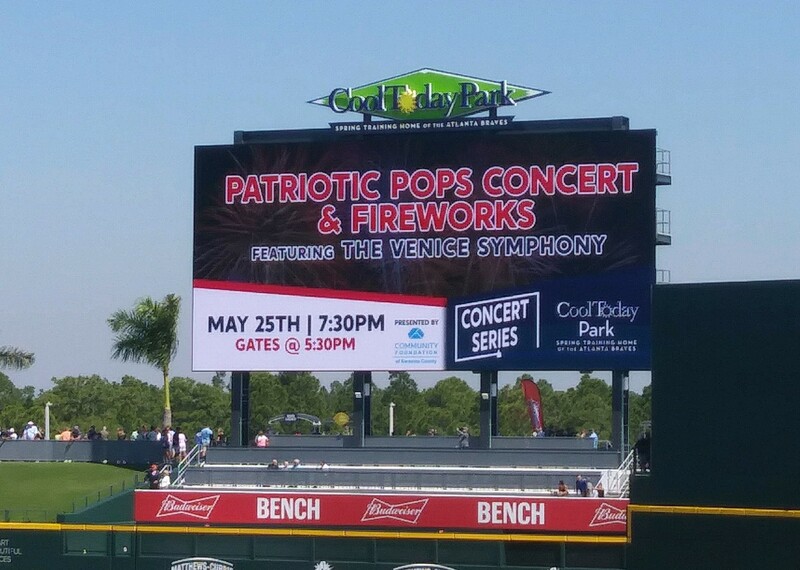 On November 21, 2014, the Symphony moved its concerts to the Venice Performing Arts Center at Venice High School. Bowermeister retired at the end of 2016 and Imre Palló, was hired as Interim Music Director as The Venice Symphony began its search for a new permanent Music Director. In 2016, Christine Kasten was named Executive Director. Also in 2016, Bank of America began sponsoring a Pre-Concert Talk Series, a free and informal discussion with the Maestro and guest soloists, moderated by Alan Gardner and open to the public. The Venice Symphony held a conductor search, resulting in the seven conductors who will lead concerts for the 2017-18 season, 7 Conductors, 7 Concerts: Finding Maestro!